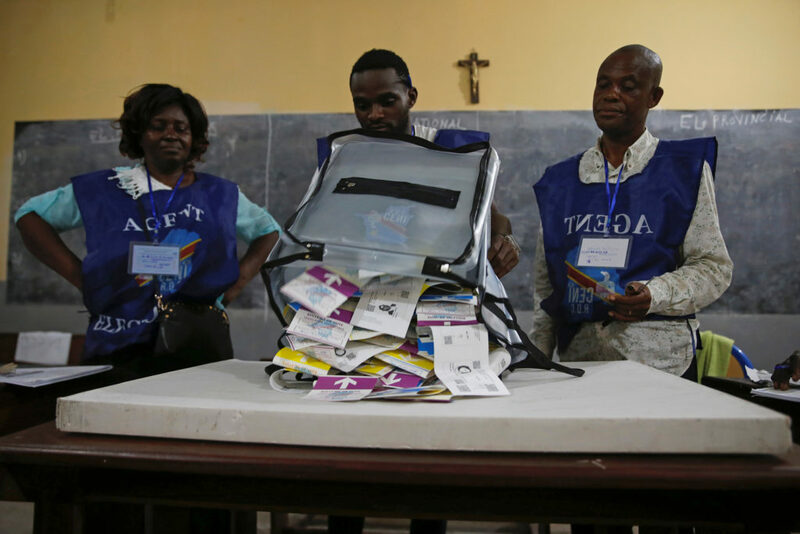 Thousands of men and women gathered in Beni on Sunday to cast paper ballots despite a electoral commission decision to ban an estimated 1 million people from voting in areas affected by a deadly Ebola outbreak. Police in eastern Congo fired live ammunition and tear gas on Thursday to disperse more than 100 people protesting a presidential election delay, blamed on a deadly Ebola outbreak, that means more than 1 million votes will not count. Congolese rebels killed 15 civilians and abducted a dozen children in an attack at the center of the latest deadly Ebola outbreak, Congo's military said Sunday, as the violence threatened to again force the suspension of crucial virus containment efforts.